We end the cycle of stories about the thrones of the great rulers. 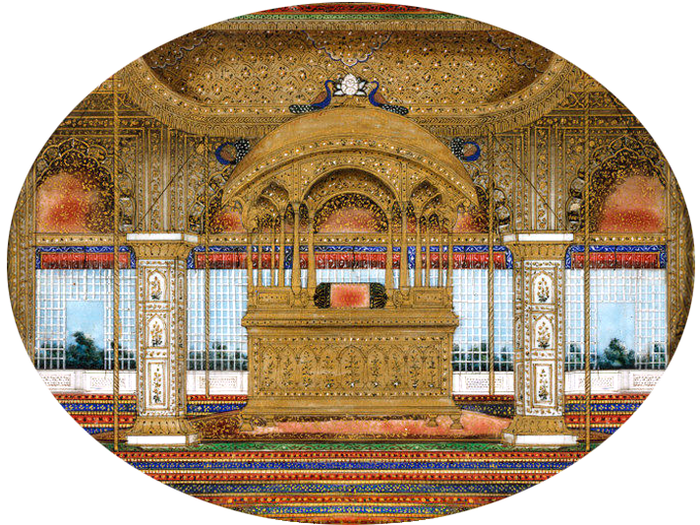 What has been the fate of the priceless throne of the Great Mughal Empire? Read in the article! The throne is a luxurious armchair on which the monarch sits during official ceremonies, as well as the main attribute of the supreme authority. The richly decorated throne is raised on a certain elevation and symbolizes the greatness of the ruler. Most often, thrones were made of the precious metal - gold. We already talked about the ceremonial chair of Tutankhamun – the famous pharaoh of Ancient Egypt, and about the golden throne of the emperors of China – the rulers of the Celestial Empire. The third story is devoted to the golden throne of the emperors of the Great Mughal dynasty. In the 17th century, the fifth emperor of the Turkic dynasty of the Great Mughals, Shah Jahan I, ruled in India. The mighty ruler wished for the most luxurious throne one can have in the world, unmatched in grandeur and unequaled in wealth. The best jewelers, artists and artisans came to Shah Jahan from all the cities of India. Masters brilliantly handled the difficult task and created the Peacock Throne - a true masterpiece of jewelry art, a symbol of the Great Mughal dynasty. The throne was not a traditional chair with a seat back, but a low ottoman-platform. The Imperial lodge was made of pure gold and decorated with elaborate carvings. The weight of the precious item was nearly two tons. In addition to hundreds of huge diamonds, rubies, sapphires and pearls, the Peacock Throne was decorated with the legendary 105-carat diamond "Kohinoor." Today, the valuable diamond adorns the crown of Elizabeth II, the reigning Queen of Great Britain. Twelve emerald columns support the golden canopy. The upper part of the construction is decorated with figures of two peacocks with lush tails, made of gold and lavishly encrusted with precious stones. According to one version, it is because of these magnificent figures that the throne got its name – Peacock. The last "Great Mughal" who seated on the precious throne was Emperor Muhammad Shah. Nader Shah, the ruler of Iran, seized Northern India together with the city of Delhi in 1737. 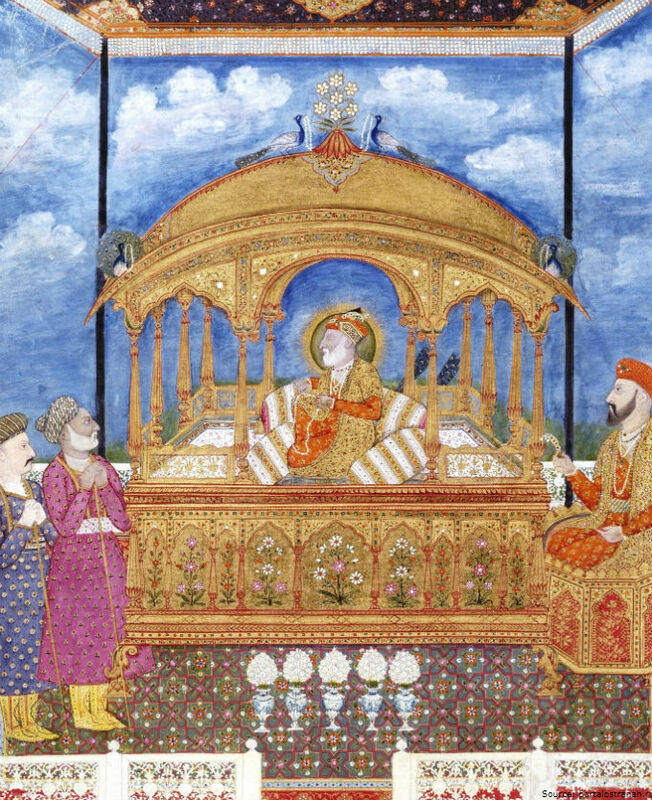 He took possession of an unthinkable amount of treasures of the Great Mughal Empire, including the priceless Peacock Throne. According to one version, the Peacock throne was stolen in Khorasan (east of Iran) during the battles with the Kurds in 1747. Traces of it were lost. Supporters of this version believe that the imperial throne of the Great Mughals was dismantled and sold in parts. According to another version, employees of the British East India Company transported it to the island of Ceylon, planning to transfer it to England. The sailing ship wrecked. The priceless cargo went to the bottom of the ocean along with the ship. The news of the sunken ship, in the holds of which the golden treasure rests, got the seekers of the treasures excited for two hundred years, yet all attempts to find the exact location of the wrecked "Grosvenor" ship and the unique Peacock Throne that sunk along with it have failed.